Upgraded electric motor has more power and torque. Battery now rated at 35.8 kWh with a stated range of 125 miles. Volkswagen's fully-electric e-Golf is upgraded for model year 2017, just two years after joining the burgeoning Golf family of versatile, sporty hatchbacks for model year 2015. 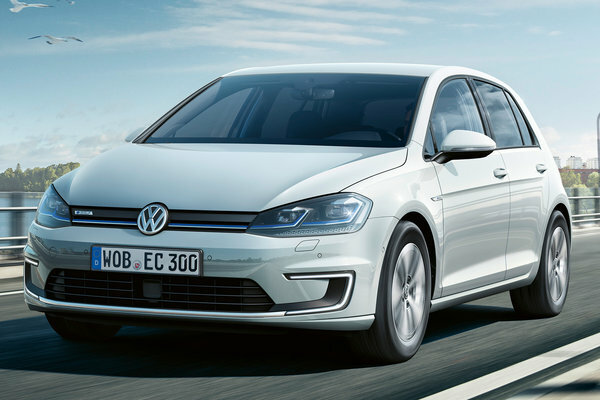 The e-Golf brings all the benefits of an electric vehicle to the Golf's "fun-to-drive, yet practical" formula, forever ending the idea that compact EVs must be bland and focused only on efficiency. New for 2017 For 2017, Volkswagen is using an updated lithium-ion battery with an increased energy capacity of...Read.